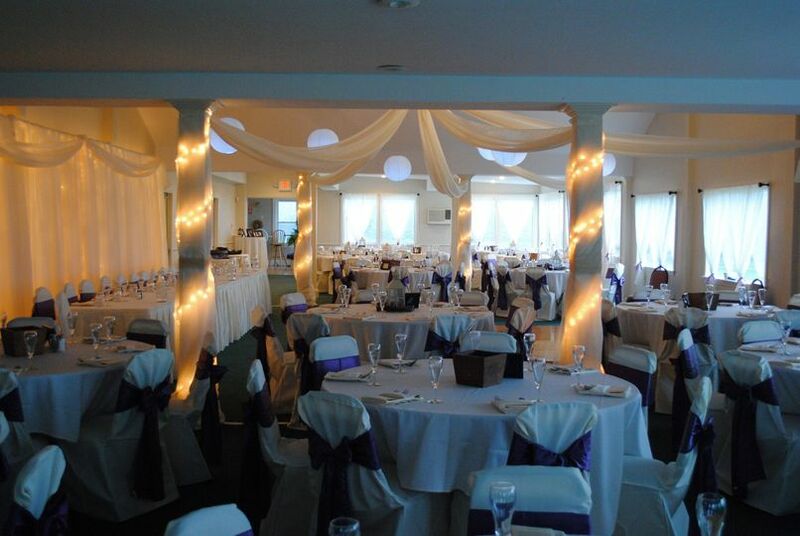 The Bath Golf Club is a classic, Maine-style wedding venue in Bath, Maine. This golf course was constructed in 1932 and is still the home course for many Maine golfers. History and class exude from this venue, which showcases all of the natural beauty Maine has to offer. 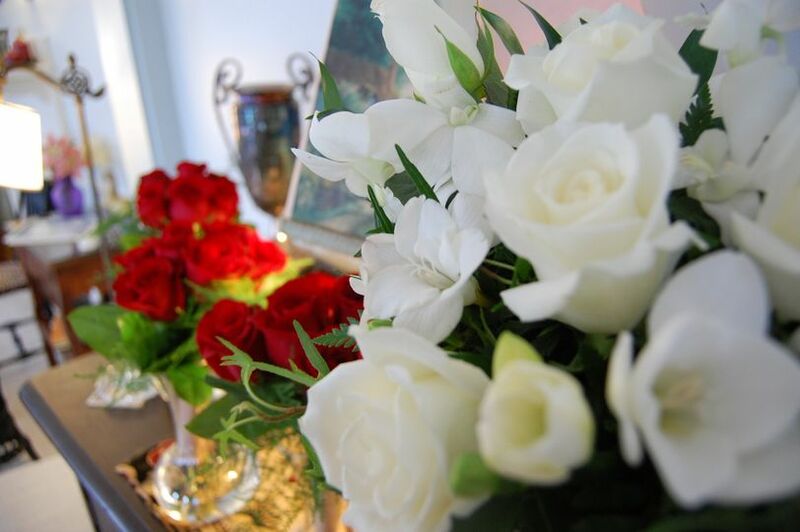 The Bath Golf Club prides itself in making sure that if you book an event with them, it feels private and exclusive. The event area contains a fully stocked bar and lounge, extravagant function room and a wrap-around deck with beautiful views. 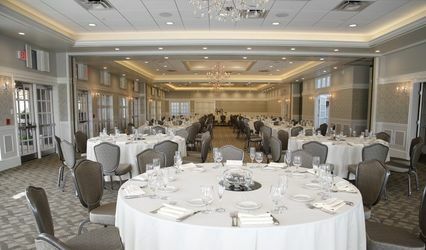 The function room, where dinners and receptions are held, can host up to 150 of the couple's closest friends and family. 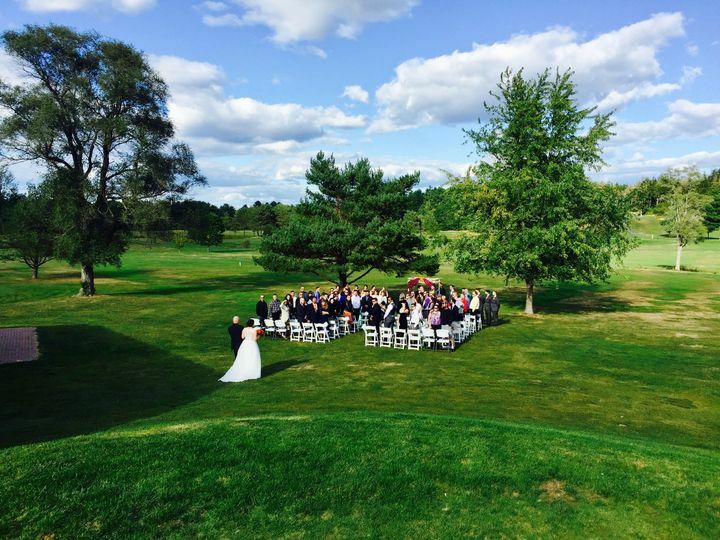 Couples looking for a venue that is all about New England style should look no further than the Bath Golf Club. 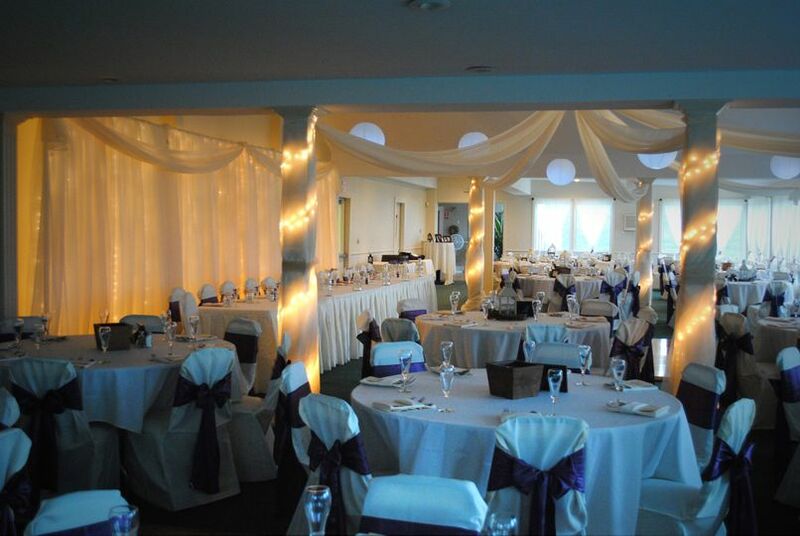 There are an infinite number of wonderful things I could say about having my wedding reception at the Bath Golf Club. 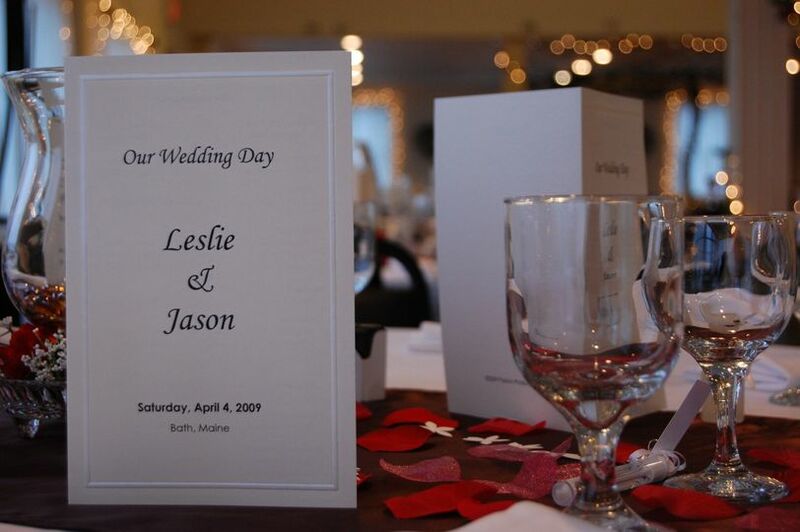 They provided top notch service, and were reliable and communicative throughout the entire wedding planning process. The entire staff was welcoming and listened to what we wanted. Even when we changed the menu, number of guests, etc. they were flexible and accommodating, with no problems whatsoever. 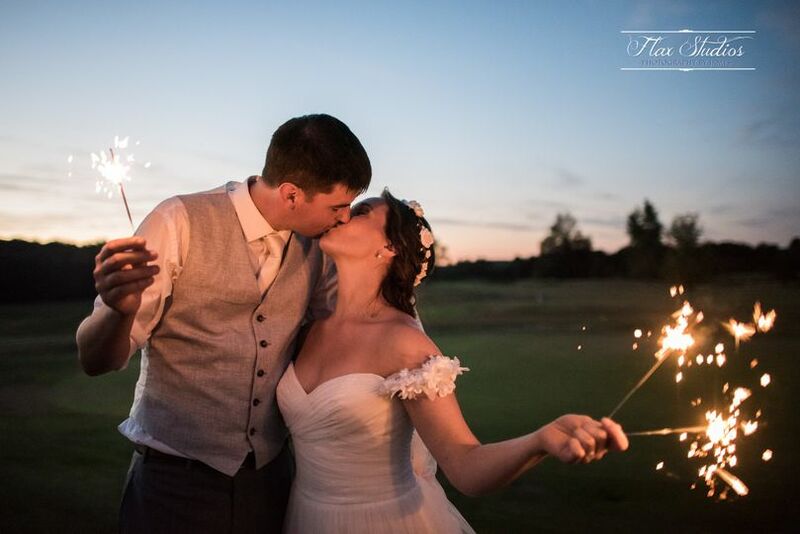 Dealing with the Bath Golf Club was such a pleasant experience, and truly made our wedding day the best day ever. 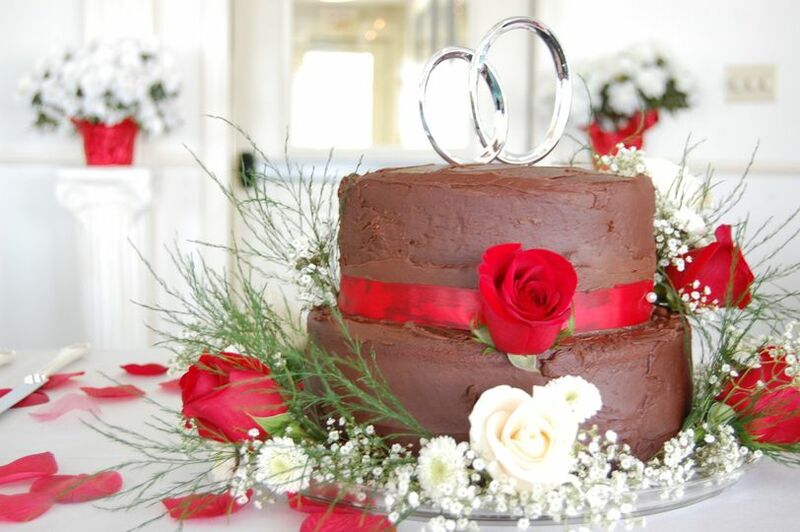 It was stress free, and the entire staff worked hard to ensure our day was just as we wanted. They made us feel like the most important people in the world. The course and reception room are both beautiful. 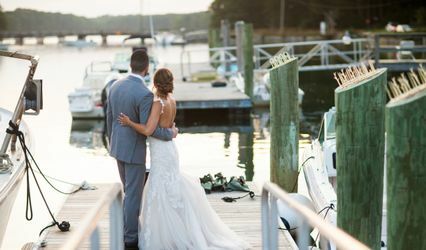 There is a deck that spans all the way around the outside of the banquet room, allowing guests to take a drink outside and enjoy the gorgeous views of the course. There is also a fire pit and patio, which was so much fun. 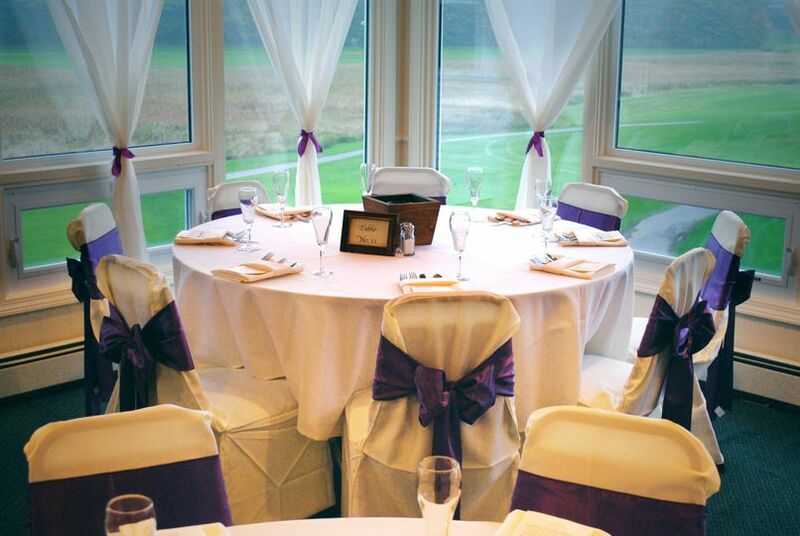 The banquet room has large windows that offer views of the course, and plenty of room for a dance floor and dinner seating. The staff was incredibly flexible with our decorations, and made it easy to make the space our own. 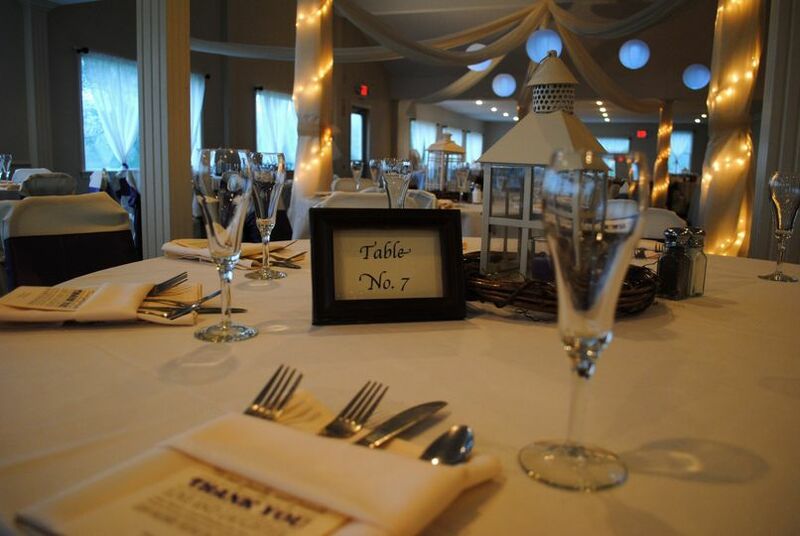 Our guests said that the food was the best they had ever had at a wedding. If I had a question while planning, I never had to wait more than a day for someone to respond to me. They were always open to us coming in and checking out the space. All of the stress that might come with wedding planning was alleviated because I knew my reception was in good hands. The bar is in a great location and offers fabulous drinks. Finally, we feel as though this is an incredible value for a wedding. It is not overpriced, and you get everything you pay for and more. 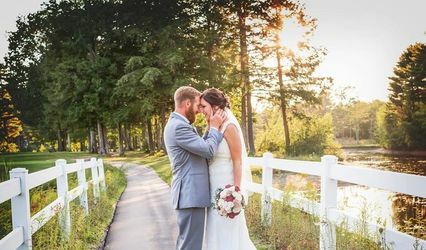 The space will make your wedding day feel as special as you can imagine, and the staff will feel like your friends at the end. I highly recommend the Bath Golf Club for your wedding. You will have the time of your life! Overall really accommodating, good food, and very friendly!